The U.S. Coast Guard Auxiliary celebrated its 73rd anniversary of service to America on Saturday. As the uniformed volunteer component of the Coast Guard Auxiliary members dedicate many hours each year toward supporting the Coast Guard in nearly all of the service&apos;s mission areas. In the 1930s, rowing and yachting races were among the most popular spectator sports in America. With World War II on the horizon and more than 300,000 boats operating in U.S. waters, Congress passed legislation on June 23, 1939 forming the Coast Guard Reserve — a civilian organization with the primary purpose of providing boats and support to the Coast Guard during times of need. Today, more than 30,000 Coast Guard Auxiliary members continue to provide support to Coast Guard units across the U.S. and its territories. 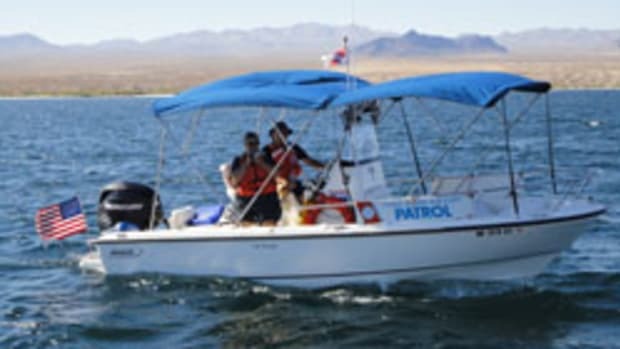 On average, the Coast Guard Auxiliary saves one life, assists 28 people, conducts over 50 safety patrols, performs more than 250 Vessel Safety Checks, educates over 270 people on boating safety, participates in over 100 Coast Guard operational support missions, and works with a wide variety of local partners and government entities every day. Click here for the full announcement with historical photos.